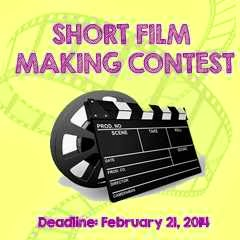 Short Film Making Contest ~ Philippine Freebies, Promos, Contests and MORE! To kick off the Women's Month Celebration, the Philippine Commission on Women (PCW) launched a Short Film Making Contest allowing college students to showcase their artistry and creativity by recording a 2-3 minute video. The film should aim to raise public awareness on women's issues, particularly the vital role of women in disaster response, media, peace building, politics and governance, and reproductive health. Categories are: Women and Disaster Response, Women and Media, Women and Peacebuilding, Women's Political Participation, and Young Women’s Reproductive Health. Your entries should depict current issues and challenges being faced by women in each category and how they have or can overcome them. Only the Top 5 shortlisted video entries will be available in PCW’s Official Youtube Channel for online voting. Prizes for each category includes P15,000 cash and P5,000 for the People's Choice Award.